Cooke S4i Prime Lenses are high quality PL mounted prime lenses that come as a set ranging from 14mm to 135mm. All S4i Prime Lenses have a maximum aperture of f1.8 and data connection. Award winning Cooke S4 Prime Lenses were designed and developed in technical collaboration with industry professionals. Cooke S4 optics offer outstanding optical and mechanical performance, control of flare, distortion, veiling glare and spherical aberrations at full aperture. The cam-type focus mechanism of Cooke S4 Prime Lenses allows for smooth focus adjustments. Modular construction increases ease of maintenance and serviceability. Cooke S4i lenses are designed for all PL mounted film and digital cameras. The additional /i Technology used provides vital information on lens setting, focusing distance, aperture and depth-of-field, hyperfocal distance, serial number, owner data, lens type and focal length in both metric and footage measurements. All Cooke S4i Primes have a true T2 aperture and cover Super 35mm format. S4i Prime Lenses are colour balanced to a specification within parameters approved by Kodak. A new eight-leaf linear module iris assembly is fitted into lenses with an aperture range of T2 to T22. The /i Electronics used for S4i Primes are accessible via a cable connector near the lens mount and contacts in the mount that sync with /i compatible cameras. Every index mark is labelled. More detailed markings allow for more detailed focus control. Cooke S4i Prime Lenses offer large, clear numerals on both sides of the focus barrel for focus scaling which benefit the focus puller when shooting under difficult lighting conditions. Cooke’s Academy Award winning cam-style focus movement plus the added benefit of a large lens barrel diameter allows S4i Primes to benefit from an increased number of focus markings, particularly at close focus. Spherical aberration for S4i lenses has been controlled throughout the range of focal lengths to eliminate compensation of changes in back focus with aperture. A four-point contact bearing provides a smooth positive backlash-free movement. A scratch resistant PTFE hard anodised external finish is provided on all Cooke S4i Prime Lenses, giving a durable, hard-wearing surface. 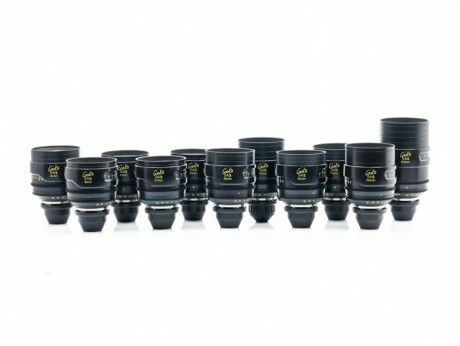 These S4i Prime Lenses are designed for all shooting applications including handheld and Steadicam.